Still don’t have one? Here are the Top 10 Fitness Tackers in early 2018. There are several health benefits of wearing an activity / fitness tracker, and it seems like everybody has one these days. If you don’t own one yet but are planning to get one, I have collected the Top 10 Fitness Trackers for you right here so you get up to speed on what’s available. New products are coming out all the time in fast pace with technology development, and it can sometimes be difficult to be oriented in the gadget jungle, but I’m here to help you. 1: Motivation – Let the gadget remind you to move more and keep track of your improvements. Even basic tracker devices will improve your activity level by many percents. 2: Set Goals – Keep the momentum up and track your progress with your goals even if it a weight loss, running or exercise goal. 10.000 steps a day is recommended as a minimum walking goal. Daily exercise lowers the risk of health diseases like cancer, stroke, and many chronic diseases. 3: Track your food intake – One of the most important aspects of keeping you healthy is what you put into your body. A fitness tracker and smartphone app can keep track of your calorie consumption and even remind you to drink more water. 4: Sleep Tracking – Most activity trackers will give you feedback on your sleep quality which is an important part of being fit and healthy. 5: Track your Heart Rate – Keep track of your heart rate both when you are exercising and when you are at rest. Most of these modern devices have built-in heart rate sensors. A fitness tracker is also the perfect gift for gadget lovers, friends or family who might need a bit of workout motivation or to monitor their activities. Even children can wear activity trackers nowadays, but only for fun and play. If you need further advice, is confused or just have a comment to the post I appreciate if you write it down below. The smart fitness watch everyone is talking about with a style quotient. Fitbit Blaze is perhaps the most talked about fitness wearable at the moment. It is Fitbit’s latest product and their first band with a big color display with 240 x 180 resolution. The Blaze track the basic stuff as most other fitness trackers like steps, distance, calories burned, floors climbed and active minutes. It also continuously monitors your pulse and heart rate on your wrist. If you pair it with a smartphone, you have GPS capabilities on the watch and can track your route. The device has an excellent design, with a beautiful steel frame around the display. The band is interchangeable and can be switched out if you don’t like the elastomer plastic feel and rather want metal or leather. Check out my longer article on the Fitbit Blaze if you want more info. This product is super cool! Classy smart fitness watch in stainless steel and chrome. Withings Activité Steel is a beautiful activity fitness tracker with the resemblance to a real watch. If you are looking for a wearable that looks classy and not as cheap-looking as many other activity trackers do, consider this one. Even if it looks just like an ordinary watch, it is an advanced gadget which can track steps, distance, swimming, running, sleep quality and calories burned. It can even wake you up with a silent vibrating alarm. A quality fitness wristband with smart notification and all-day activity monitoring. The Fitbit Charge HR is a fantastic all-day activity tracker which has been on the market a bit longer than Blaze on first place. The original Charge was without heart rate monitor, but in a competitive market where customers demand, even more, many fitness trackers have come in updated versions like this one – HR stands for Heart Rate. The Charge HR comes in four colors, black, purple, blue and orange, and is built in a sturdy rubber-like material. It monitors your whole day and can give you smart notifications on the tiny display like caller id. Read my article on the Charge HR here for further details. Futuristic band with curved display and lots of sensors to track everything. Microsoft Band 2 is the second generation of fitness bands from Microsoft. This one has onboard Optical Heart monitor, a three-axis accelerometer to measure speed, built-in microphone, GPS and a built-in skin temperature sensor. That is kind of cool. In fact, it comes with 11 sensors you can see listed in this article. This is a gadget capable of tracking running, biking, golf and more. You get notifications of emails, text messages, calendar appointments and call alerts on the cool curved colorful AMOLED display with 320×128 pixels resolution. Read more positive user reviews and check the pricing here. Large AMOLED touchscreen display, built-in GPS, and great design. looking, and it has a vibrant curved AMOLED touchscreen display with a staggering 432 x 216 resolution. Smart notifications like calls and texts are shown right on your wrist, and you can respond to it if your phone is in Bluetooth range. This wearable tracks steps, calories burned, heart rate, sleep quality and much more. Integrated GPS makes it easy to track your activities and where you run. It comes in three different colors which are black, blue and pink. One drawback with the Fit2 is that it doesn’t support iOs, only Android. If you have a Samsung phone, this band is something you should consider. Top fitness bracelet with impressive monitoring which also can be used for payments. The UP4 is the latest bracelet style tracker from Jawbone, with more features than the predecessors UP2 and Up3. The main difference between UP3 and UP4 is the possibility to connect it to an American Express Card and do Amex payments. Apart from that, they are pretty similar. The band is discreetly worn on your wrist and continuously monitoring your heart through the day. Apart from that, it measures your whole day of activity like steps, workouts calories, and distance. It has automatic sleep tracking which is capable of capturing REM, light, and deep sleep. When it is time to wake up, it silently wakes you at the optimal time. With the app Smart Coach, you get personalized guidance on your lifestyle and get motivation when you need it. It doesn’t have a display, and that makes the price go down. Water restistant fitness activity tracker with amazing battery life and fun look. Withings Go is a sporty looking gadget that tracks activity, calories, and sleep. It is water resistant down to 50 meters which let you monitor swimming distance too. Go comes in several colors and the tracker unit can be worn in a clip or a watch band. One of the things which make this fitness wearable really interesting is the amazingly long battery life. Charging batteries are often the main reason why people get tired of using an activity tracker. This gadget relies on a single CR2 coin battery which lasts for eight months before replacement. To save energy the screen is an E Ink type wich is easy to read. Click the screen to scroll through your activity progress. Synced with a smartphone, you get coaching and more details on your activities. Updated Vivosmart fitness tracker with smart notifications and wrist based heart rate monitoring. Vívosmart HR+ is the newest addition to Garmin’s successful Vivosmart series. It has GPS to monitor distance and speed, and keep track of your burned calories, heart rate, climbed floors, intensity minutes and steps. The touchscreen display is easy to read even in bright sunlight and with a swipe of your finger, you go through the different stats. Paired with a phone it is automatically synchronized with the Garmin Connect Mobile app which makes it possible to participate in challenges, see more statistics and get guidance. You will also get notifications like emails, text messages, social media and more right on your wrist. Lightweight and cheap activity tracker that does the job. Xiaomi Mi Band Pulse is, first of all, a very cheap alternative to more expensive fitness trackers. It has gathered a huge fan base and is now able to monitor your heart rate in real-time. Not many fitness wristbands in this price range can do all the things Mi does. You are of course dependent of a smartphone to take full advantage of all the features of this device since it does not have a display itself. It has three LEDs on the front which give you some feedback thou. It comes in a variety of fresh colors and a battery life of 30 days before you need to recharge. Strong, waterproof, thin fitness and sleep tracker with many possibilites. Misfit Shine 2 is a super thin tracker device formed as a disc you can mount in clips, many different watch bands, and necklaces. It is perhaps the most sturdy tracker in this list built in T6 aircraft-grade aluminum. If you are a swimmer, good news – this one is water resistant and can handle 50 meters of water depths. The clickable front face has 12 LED lights which work as both a clock and an indicator of progress and notifications. It is very energy efficient with a cell battery that lasts for 6 months and wakes you up in the morning with a silent alarm. So, this is my list over the Top 10 Fitness Trackers for either yourself or if you are looking for gifts. Do you agree or have I missed your favorite wearable? Leave a comment below if you have any questions. Check out: Moov Now! Wow, What A Superb Fitness Tracker! Hi there, this is a really comprehensive overview of the fitness trackers. I am one of those people you describe who always has wanted one but haven’t decided which one to get. I have an iphone and have just got an iwatch so i was hoping to use that as my fitness tracker. Are there apps for iwatch that do all of this with the sleep tracker and HR monitor and calorie intake and activity monitor? Would the iwatch be as good as these purpose built trackers? For the Apple Watch there are to main app, the Health app and the Workout App. The IWatch have come a long way of being able to track daily activity, but you could do that with only a smart phone too. With the watch you get heart rate monitoring for instance which all these fitness trackers offer as well. While the IWatch measure your pulse every ten minutes, most of these fitness trackers mausere continuously. Features like sleep monitoring is also not very good on the Apple Watch, neither is it water proof. For serious athletes and runners the Apple Watch will never be an option, but for ordinary people just wanting to measure a bit of daily movement it might do the job. As someone who likes to keep fit and healthy, I have to admit I don’t own a fitness band. It is something that I have not been interested in purchasing, however, this article has opened my eyes. I quite like the smart watch-style one. I am a bit surprised you haven’t mentioned Sony’s or Apple’s fitness trackers. I use Sony’s fitness app on my phone, and it’s pretty intuitive. Hi! Thanks for the comment! Yes, I should probably mention Sony’s fitness trackers too. I have written about Sony Smart Band 2 a while back. It is also a wristband type band with no display, but it has the heart rate monitor. It naturally fits perfectly with the Sony fitness app. Sony also have a smart watch design activity tracker called the Smartwatch 2 for android phones. Apple watch also acts a tracker for health, and it does measure the pulse once in a while, but I don’t think people chose the Apple Watch purely for fitness reasons. But then again, I might be wrong. hi. i really like your page. concise and straight to the point. there are some funky looking fitness watches there. the fitbit blaze is the best looking and appeals the most to me. the withings go is strange looking. no matter how good it may be i cannot buy that. i never considered a fitness watch. the functions are really good. watching the calories and the sleep aspect is really good. not saying the other features are not. these are things that i am trying to keep a track of separately. but the watch….well….your post is making me think twice. It’s surprising the number of fitness trackers that are becoming available. I have check into a few different ones but never taken the time to do a thorough check on which one to purchase yet. This article that you have put together with your top ten helps fill in the gaps to some unanswered questions I was having and looks like I can see about getting off the fence finally. I have a fitbit, do not know which one i’m kinda new at this. I was a skeptic about fitness bands, but after my wife upgraded I received her old one. I AM SOLD! I am competitive, but me and my wife together… I’m sure the neighbors think we are crazy with us both running around the house like a chicken with its head cut off! I’ve heard many good things about these fitness trackers but I haven’t tried any before. This list looks like a good place compilation. I never knew that a fitness tracker can do much more than just tracking a fitness goal! Design-wise, I like the Fitbit Blaze the most. Withings Activite Steel comes a close second. I love that it looks like a normal watch but it has all those cool functions. Hi, Yvonne! Appreciate your comment. I agree that the Withings ActivitÃ© Steel is a nice looking fitness gadget that looks like an ordinary watch. Not everybody want to wear a tracker that looks like a fitness tracker, if you know what I mean. Great article. I have been trying to decide which one of fitness trackers I was going to get. You really helped me stop my researching by giving me tons of info in your article. Going to read through again to really pinpoint which one I am going to get. Glad you found the article helpful! Let us know which fitness tracker you chose in the end. Great article. I’ve had a fitbit flex for a couple of years and was thinking about upgrading it to one with a few more features soon so this is a really good comparison list to figure out which one I might go with. Do you have a favourite or a one you would recommend as a step up from the flex? I do like the look of the fitbit blaze! Hi, Sarah! If you want to stick with Fitbit fitness trackers and upgrade from the Flex, I totally agree with you that the Fitbit Blaze is an awesome choice. That’s why I put it on number one. It has heart rate monitor and a large display and looks super cool. I have written about the Blaze here as well if you want to learn more. Polar is also coming with a few new awesome products now like the new M600. Worth checking out perhaps. Your website has an amazing amount of quality content! Your theme fits well with your topic. I love the way that you use the Amazon. You talk about trackers and while I read about them, I immediately get tempted to purchase one via the adds. You have a give away for free stuff on your website, really cool! Are all of these ebooks written by you? You are using the numbering trick on naming your posts, this is very eye catching and makes me want to read the content. I do have to state that your site is little bit too busy for my taste. The widget on the right hand side, recommended top posts, are so colourful that they pull my attention away from the text. I realise you are going for awesome graphics, but once they are ‘stacked’ on top of each other, the effect becomes overwhelming. On articles themselves this looks really cool! I have to agree with you that the best looking fitness tracker is the Withings Activite Steel – I’d love that one. Might have to put out some hints for Christmas this year! Hi, Marlaine! 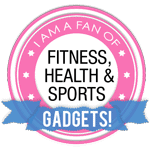 I’m happy you liked the article and that I managed to amaze you with some cool fitness trackers. 🙂 I have 3 kids my self, the youngest two years old… So I know what you mean. Wish there was a gadget for actually getting better sleep, not just track it. I’m a blogger and also a person that loves fitness so much. Practically every day I go out for a jog, I would love to have one of those watches to track my fitness. right now I use my phone to track my miles and fitness using the Nike app, I love it. I will try to buy a watch because it’s super comfortable! Thanks for the comment, Anis! Many people use their smartphones and apps like Nike, Strava, MyFitnessPal, or Apple Health. Even if you often get more features from a smartwatch or dedicated fitness wearable, the most important thing is that you feel that the tool you have chosen to track your workouts works for you. Good content here you got, helps people who want to buy fitness trackers that are very in trend this year, you help them to decide, I have on my site a post about fitness trackers, and i think yours is very helpful and unique, I learned some things about these trackers. Thanks, glad you found the article helpful. Well, here I gonna sharing my view with a smart gadget that actually to useful with its nice features and I bought this as a gift for my cousin and it has sleep tracker ability with tracking of steps , distance and calories burn , that makes itself a best fitness tracker gadget which can automatically tracks how long and how well user sleep.